If you think Disney is the most magical place on earth all year round, you’d be right; but it’s even more magical at Christmastime. If you’ve never been to Disney World during the Christmas Season (from approximately early-November through early January), you have to trust me: it’s something you have to see to believe! Every inch of Disney World from the parks to the resorts is decorated, and there are so many unique themes. Let’s take a look at what’s going on this Christmas season! 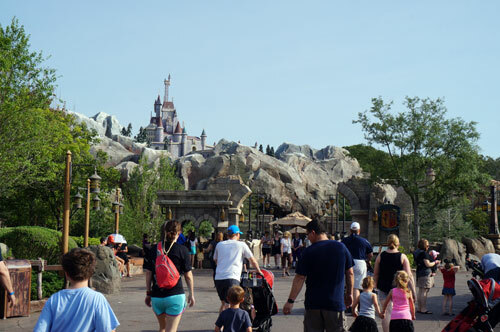 Magic Kingdom is perhaps the most magical place of all. Mickey’s Very Merry Christmas Party kicks off on November 7th this year and occurs on select nights through December 22nd. There are meet and greets with all of your favorite characters dressed in their most festive outfits. Mickey and Minnie and their pals will be there plus some others including some not-so-common characters like Nick and Judy from Zootopia, who will be greeting guests in Tomorrowland. Some of the Disney Princesses will be on hand at Princess Fairytale Hall, and Cinderella Castle will be beautifully decorated with Christmas lights. During the party, Mickey’s Most Merriest Celebration, which takes place in front of Cinderella Castle, will have you singing and dancing to some old favorites and more modern Christmas songs. With projections on the castle and a snowy finale, this is much more than just a sing-along. If you’re not planning on attending the Christmas Party, you can check out this show from December 23rd through the 31st during regular park hours. The Magic Kingdom comes alive at Christmas. Mickey’s Once Upon a Christmastime parade also takes place during the Christmas Party on Main Street USA. Join Santa, Gingerbread Men, Elves, reindeer, and even Toy Soldiers as they march down Main Street to start the party off right. A Frozen Holiday Wish (also known as Castle Dream Lights) returns this year during regular park hours as Elsa transforms Cinderella Castle into an ice palace fit for a queen. Holiday Wishes also occurs nightly whether it’s a Christmas Party night or regular hours with an amped up version of Wishes Nighttime Spectacular. Epcot is a special kind of park all year, but it’s very apparent during the Christmas season as World Showcase celebrates Holidays Around the World. There are five new marketplace stands including Alpine Haus Marketplace, Three Kings Feast Marketplace, and the Germany Marketplace. Each one will feature holiday plates and beverages from its respective home country. 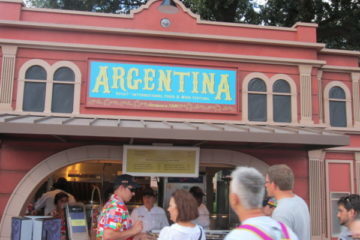 In addition to the food booths, there is also special entertainment involving holiday traditions from around the world. 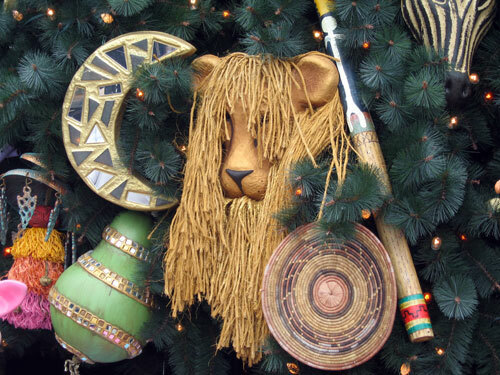 If you like to experience and learn about different cultures, World Showcase is the place to be at Christmastime! 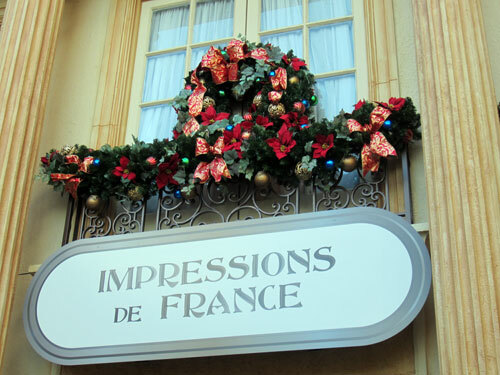 Learn about Christmas traditions from around the world at Epcot. Epcot’s long-standing Candlelight Processional returns for its 45th year in Disney World with celebrity narrators, a 50-piece orchestra and a huge choir all to retell the story of Christmas in elaborate Disney fashion. There are three shows per evening at 5pm, 6:45 pm, and 8 pm in the American Gardens Theater in the American Adventure. You’ll be feeling goosebumps the whole time! Disney’s Hollywood Studios has historically been a main attraction at Christmastime with the Osborne Family Spectacle of Lights, but Disney has cancelled this long-standing tradition much to the dismay of many guests. 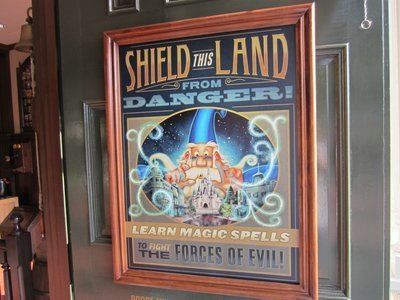 Although nothing can replace the nostalgia of this attraction, Disney has added some new things this year that will delight guests even amidst all the construction. Jingle Bell, Jingle BAM! is a new nighttime show with projections, fireworks, special effects, and seasonal music. Characters from the popular Christmas cartoon shown on ABC called Prep and Landing will appear along with some other Disney favorites. The Osborne lights are gone, but the Studios will still have Christmas fun. One hour before the show, a dessert party will commence in front of the Chinese Theater. Snacks, desserts, and specialty beverages will fill you up and have you feeling very festive just in time for Jingle Bell, Jingle BAM! There is an extra cost for this dessert party and prices range from $69 to $79 for adults and $39 to $45 for children; the closer the date to Christmas, the more expensive the dessert party will be. Also new this year is the opportunity to meet Santa. Get nostalgic and visit The Jolly Old Elf himself in the Once Upon a Time Shop, which is reminiscent of a vintage department store. Disney’s Animal Kingdom is also getting in on the Christmastime action by opening again in the evenings to accommodate larger crowds. Expect to see some hangover attractions from the summer nights including Tree of Life Transformations, Sunset Safaris on Kilimanjaro Safari, Kali River Rapids, and Expedition Everest. One of my favorite Christmas trees on property is the one at the entrance of Animal Kingdom. This animal-themed Christmas tree is beautiful and so appropriate for the setting. The Christmas tree at the entrance to Animal Kingdom has some amazing and unique decorations. You’ll also be able to meet Mickey, Minnie, Santa Goofy, Donald, and Chip & Dale along with some friends from the Jungle Book like Baloo and King Louie at Adventurers Outpost. Stop by the Tusker House Restaurant to see a gingerbread African Marketplace. Even if you’re not dining there, you can still snap a picture, catch a glimpse, and take a sniff! The parks don’t get to have all the fun! 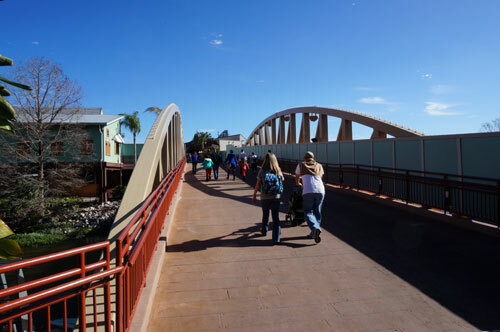 Disney Springs is nearing the completion of a multi-year renovation project transforming Downtown Disney into the much larger shopping, dining, and entertainment district of Disney Springs. With the construction walls coming down, there’s more room for decorations and they come with a better view too! The Christmas Tree Trail features 15 decorated Christmas Trees all with different themes. Stroll through and take a look at each one. This might make for a great photo op! Christmas cards anyone? Once Upon a Toy will be hosting a dance party at the fountain just outside the store, and it seems that the toys have come to life! Dance along with them to festive music and enjoy some pin trading and a nightly tree lighting ceremony too. All throughout Disney Springs, you’ll find holiday-themed merchandise. Disney’s Days of Christmas is open all year, but expect an increased stock. Art of Disney will feature holiday-themed artwork, and Wonderful World of Memories, Marketplace Fun Finds, Marketplace Co-op., and Goofy’s Candy Co. will all boost their Christmas inventory as well. If you can’t find what you’re looking for in any of these stores, World of Disney, which is the largest Disney store in the world, is sure to have just the perfect gift or souvenir. 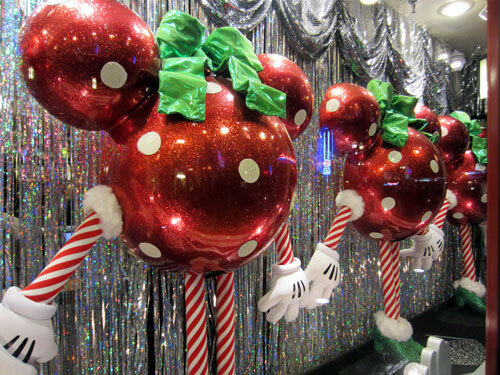 Disney resort hotels go all out for Christmas. Value resorts decorate with trees and garland, Moderates do a little more, and Deluxe Resort Hotels go big! 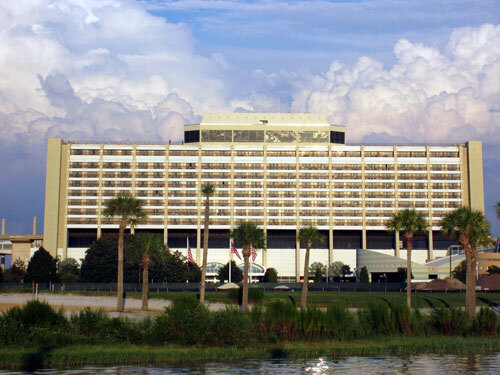 Disney’s Contemporary Resort Hotel has a 17-foot tall gingerbread Ice Castle on the Grand Canyon Concourse, and Disney’s Grand Floridian Resort and Spa will have its beloved life-sized gingerbread house on display in the lobby. You don’t have to be a guest at these hotels to stop by and see the amazing decorations. Just hop on the monorail from Magic Kingdom or Epcot and take a tour. Stop by Disney’s Polynesian Resort too. When Christmas meets South Pacific, it feels so wrong but it’s so right! While not on the monorail loop, the Yacht and Beach Clubs don’t disappoint. Disney’s Beach Club Resort has a life-sized edible carousel in the lobby, and Disney’s Yacht Club features a miniature train display. It doesn’t get any more quintessentially Christmas than a miniature train display! 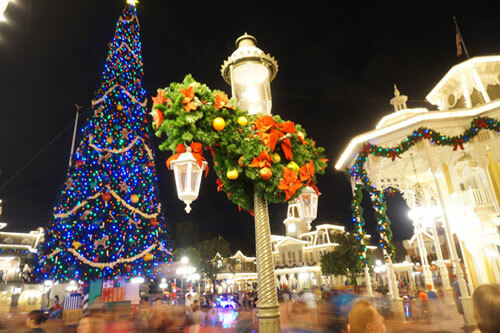 Do you enjoy visiting Disney World at Christmastime? 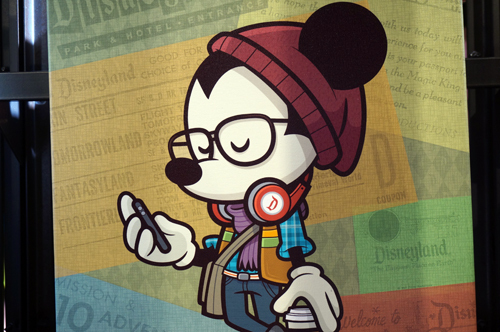 Armchair Imagineer: What If You Didn’t Have To Wait In Line For Your Food At Disney World?